Palestinian Authority President Mahmoud Abbas has managed to hold on to power for over 14 years, and has shown no intention of resigning, or appointing a successor. Under his term, Hamas rebelled against the PA's rule and launched a breakaway province in the Gaza Strip, representing a historic split among Palestinians. One half of Palestinians is governed by the PA in the West Bank, and the second half is under the rule of Hamas in Gaza. The struggle for power that is likely to develop after Abbas leaves his position could, with a fair amount of ease, result in violence between Palestinian rivals, and in attacks on Israelis. Senior former Israeli security officials have told JNS about the range of scenarios that could play out on the day after Abbas, 83, no longer heads the P.A., Fatah and the PLO in the West Bank. "The struggle for succession has begun," said Lt. Col. (res.) Alon Eviatar, an expert on the Palestinian arena and a former adviser to Israel's Coordination Unit for Government Activities in the Territories. "It is going on behind the scenes. It is not on overt display because Abbas is still alive. But it is taking place between the candidates for succession and the Palestinian streams." Abbas is unlikely to leave his position out of his own initiative, Eviatar assessed. "There is no natural single successor. But there could be a team that succeeds him. One figure could head the PLO, the second could lead the P.A., and the third would manage Fatah," he said. Such an intermediate arrangement could hold until P.A. elections are held, said Eviatar, adding that an elections process is likely to prove intensive and tense with Hamas seeking to compete. A "team succession" scenario could easily involve power struggles between various Palestinian forces--tensions that might "go down to the street level, with militias and competing elements trying to seize strongholds," said Eviatar. Internal violence, as well as rival takeover attempts by Fatah and Hamas, are certainly feasible, he argued. "This kind situation--of sliding into internal power struggles--can also be directed against Israel. There is no roadblock stopping this from happening. Hence, from Israel's perspective, the most important role for the Palestinian Authority security forces is to block any such deterioration," he said. The question of how much violence the P.A. security forces will have to deal with - and how much of an effort they will actually make in stopping it - remains to be seen, he stated. At the same time, forces that have been dormant so far due to the P.A. 's preventative measures, like the Tanzim militia, and militant elements in Palestinian villages waiting to attack settlers, could stir, resulting in a spike in violence. "So far, Abbas's directive has been to prevent this," said Eviatar. Such an escalation would not, however go so far as to endanger the P.A. 's existence, he argued. "I think the interests of the Palestinian establishment and of outside forces, including Israel, are much stronger than forces that could pull the P.A. apart," he said. Meanwhile, a parallel struggle may ensue over the PLO's budgets and funds with billions of shekels in them. "By all measures, we can expect a certain deterioration of the security and economic situations, which could affect Israel. Everything is tied together. But I don't think there will be widespread chaos and collapse," said Eviatar. Dr. Col. (res.) Moshe Elad, one of the founders of the security coordination between the IDF and the P.A., said that would-be successors to Abbas are already preparing. "There are all sorts of small signs indicating this, like the stockpiling of weapons," said Elad, who lectures at the Western Galilee College in Akko. "The way things look now, it is hard to believe that there will be an organized transfer of power." He described one "fairly responsible group in Ramallah that is mostly under Abbas's control, which might try to crown the next leader. That someone might not be acceptable to everyone," said Elad. One prominent candidate is the head of the P.A. 's General Intelligence services, Majid Faraj, a figure that "has a lot of power on the ground," said Elad. Faraj could take over until elections are held, and is a figure who is viewed positively by both the Israeli and American defense establishments. "He has ties with the CIA," said Elad. "And he has good links with the Israeli side, mainly in the war against the common enemy: Hamas." "A second possibility is that there will be chaos. That could develop if there will be no consensus, and all sides go dig into their corner," he said. Elad argued that this chaos does have the potential of breaking up the P.A. 's centralized power, with one scenario being "the return of tribalism. We could see the tribes of Jenin, Bethlehem and Ramallah appearing with nothing connecting them to each other. Abbas has been able to connect them." In the absence of a compromise, each "tribe" would control its own territory under the rule of provincial leaders. "For example, Jibril Rajoub would run Hebron, where he is stronger," said Elad. Both Elad and Eviatar said that Marwan Barghouti, the senior Fatah terrorist serving five life sentences in Israeli prison for his role in deadly terrorist attacks, could not be seen as a relevant successor, as Israel has no intention of releasing him. One name that has appeared as a contender is the former head of Fatah in Gaza, Mohammed Dahlan, who is currently living in the United Arab Emirates. Elad said that Dahlan is conducting intense lobbying to try to return to Gaza, and from there, to the West Bank. But he only has a powerbase in Gaza, Elad noted, creating a major hurdle to his wider ambitions. "Dahlan is a dominant charismatic figure. He could be a Palestinian leader, but in the West Bank, he lacks power. He could return to Gaza. He has done preparatory work, and has many strong connections in Qatar and the UAE," noted Elad. 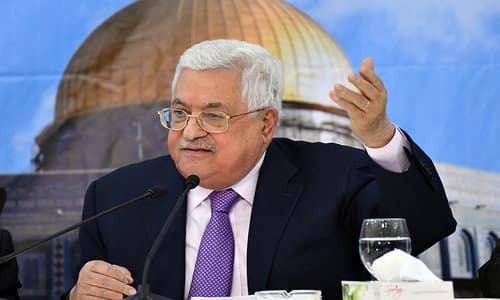 Other names that have been put forward to replace Abbas are mostly "just those of people who see themselves as leaders," but are not likely to rise to power, he added. Eviatar cautioned that Hamas in Gaza is likely to attempt to exploit the situation. "Clearly, Hamas will do everything it can to undermine stability, first in the West Bank," he said. "They could also escalate attacks on Israel from Gaza to expand the chaos. As soon as they step up attacks on Israel, the West Bank could heat up. Hamas will ride on anything that can heat up the West Bank."